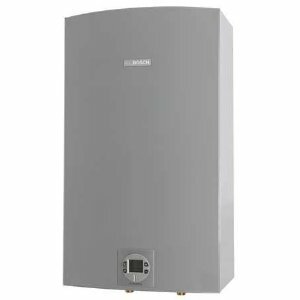 Bradford White heat pump from the Aerotherm series is an advanced electric water heater that utilizes the diagnostic system and error codes to notify the user or the service technician about the existing problem inside the unit. Even if there are complicated problems such as the faulty elements, the error code appears on the display of the control panel/controller indicating heater’s malfunction. Thanks to the smart electronics and displayed error codes, the user can take advantage and successfully perform the troubleshooting. Of course, it is more convenient and safer to contact the professional service, also more expensive. If you are a handyman, have the necessary knowledge and experience, including the right tools, you can fix it too. For those, the list of the common Bradford White error codes is provided below, with the explanation of the cause, symptoms, and steps that you have to take for the successful repair. Problem and solution: The problem might be with the refrigerant leak from the compressor or an issue with the sensor T4 that measures the compressor outlet temperature, it's wiring, and loose connections. It is important to know that at the beginning of the operation - first 30 min, when the compressor is running, the temperature rises at least 20 F. Also, check the operation of the Electronic Expansion Valve – EEV. 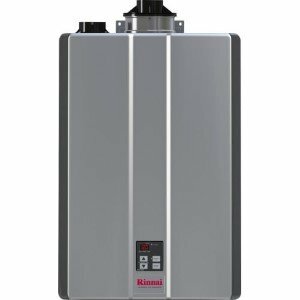 Problem and solution: Problem is the same as the above with the error code FA – after 30 minutes of working, the heat pump must increase the temperature to 120 F and over and stays stable. Problem and solution: Problem description and fix: Similar to the above problem, symptoms, and repair instructions, but instead of the T4 sensor that measures the compressor outlet temperature, check the T3 – evaporator inlet temperature sensor; that the temperature is, after the first 30 min, over 20 F and that there is no frost on the evaporator. Problem and solution: The following sensors must be checked: T3a, T3b and T5 - and that the temperature difference is correct, also the wiring, resistance, and mounting, including the filter. 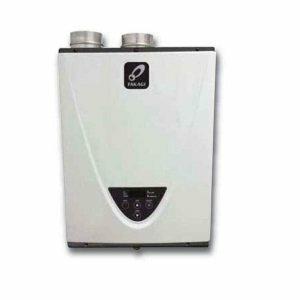 The evaporator superheat, controlled by Electronic Expansion Valve – EEV must be good (some models). Problem and solution: The compressor discharge temperature should not exceed the 240 F and the temperature measured on the T4 sensor must be less than 240 F. Also there should not be any fluid leak from the compressor. The EEV element must be operational. Problem and solution: Check the T3a, T3b sensors, mounting and wiring, EEV operation and for a possible refrigerant leak. The control checks that the EEV is operating correctly. Problem and solution: No problems with the heat pump. T5 sensor checks that the ambient temperature is in the normal range from 45 F to 120 F, and if not, the unit will switch to the Electric or Standard mode. Problem and solution: No fault code displayed but can be seen in the diagnostic mode. The check is used to help the technician evaluate the compressor temperature overload device. Problem and solution: Make sure that the evaporator superheat is lower than 20 F (usually 10 F) and that the EEV position is lower than 450 F, after 30 min of working; otherwise there is a refrigerant leak. So, except checking the system for a leak, also check the T3a and T3b sensors’ resistance, mounting and wiring connections. Problem and solution: T2 temperature sensor failure. Since this sensor checks the tank temperature, check its resistance, mounting, and wiring. Use the service mode to test the sensor temperature – it should be in the range from 30 F to 170 F.
Problem and solution: Compressor failure - no current flow detected. The recommendation is to check the start the capacitor, overload device, wiring, and relay. Problem and solution: A fan malfunction – check the element and wiring. Problem and solution: Check the T2a sensor for the shorted or open circuit. The T2a is the evaporator inlet temperature sensor. Problem and solution: T3b sensor failure – shorted or open circuit. The T3b is the evaporator outlet temperature sensor. Check the wiring, mounting and resistance. Problem and solution: T4 sensor failure – measures compressor outlet temperature. Look for the open or shorted circuit. Also check the sensor wiring, mounting, and resistance. Problem and solution: T5 sensor failure – it checks the ambient temperature. Look for the shorted or open circuit. Check the T5 sensor wiring, mounting and resistance. Problem and solution: Check the lower heating element for the failure or bad wiring. The current sensor does not detect the current when it is energized. Problem and solution: Similar to error F9, but this time the upper heating element needs to be checked as there is no current flow. Problem and solution: This error message comes up if the water storage tank is not full of water (or enough for safe operation), so the heating elements won’t burn out. Problem and solution: The voltage is low, lower than 155 V as soon as it is powered up. The normal voltage range is from 208 V to 220 V.
Problem and solution: F13 code shows when the button on the control panel is stuck and is not operable - the fault code clears when the buttons become free again. Problem and solution: The filter needs to be cleaned for normal operation. The F14 code shows a number of the “dirty filter” occurrences. Problem and solution: Problem in the Data Flash, permanent memory storage.